Karachi, January 28 (AFP): The US and the Afghan Taliban have drafted the framework of a deal which could pave the way for peace talks with Kabul, special envoy Zalmay Khalilzad was quoted as saying Monday, but major sticking points including a ceasefire and a withdrawal of foreign forces remain. The comments by Khalilzad toTheNew York Timesare the clearest signal yet from a US official that talks between Washington and the militants are progressing, igniting hopes of a breakthrough in the grinding 17-year conflict. The flurry of activity culminated in an unprecedented six straight days of talks in Qatar last week, with both the US and the Afghan Taliban citing progress over the weekend. “We have a draft of the framework that has to be fleshed out before it becomes an agreement,” Khalilzad, who arrived in Kabul Sunday to update Afghan authorities on the talks, was quoted as saying byThe Times. He told Afghan media that Washington and the insurgents had “agreed to agreements in principle on a couple of very important issues”, and said Afghans must “seize the opportunity,” according to comments released by the US embassy in Kabul. However there is still no accord on a timetable for a US withdrawal or a ceasefire — major issues on which previous attempts at talks have foundered in the past. Earlier on January 26, Taliban spokesman Zabihullah Mujahid said that without a withdrawal timetable, progress on other issues is “impossible”. “The Taliban have committed, to our satisfaction, to do what is necessary that would prevent Afghanistan from ever becoming a platform for international terrorist groups or individuals,” he said. He gave no further details, but the statement gave weight to reports last week that the Taliban had agreed to oppose al Qaeda and the Islamic State group. The US invasion of 2001 was driven by the Taliban’s harbouring of al Qaeda, but more than 17 years later the group appears diminished in the region. Analyst Michael Kugelman of the Wilson Center in Washington, DC said such a move had long been a major ask of the US — but noted that it was more of a “conciliatory gesture” than a concession. “The Taliban has never been a friend of ISIS, and al Qaeda has become a shadow of its former self,” he toldAFP. NATO’s combat troops left Afghanistan at the end of 2014, but thousands remain in training, support and counter-terrorism roles. Trump has already said he wants to pull out half of the remaining 14,000 American troops, according to US officials. 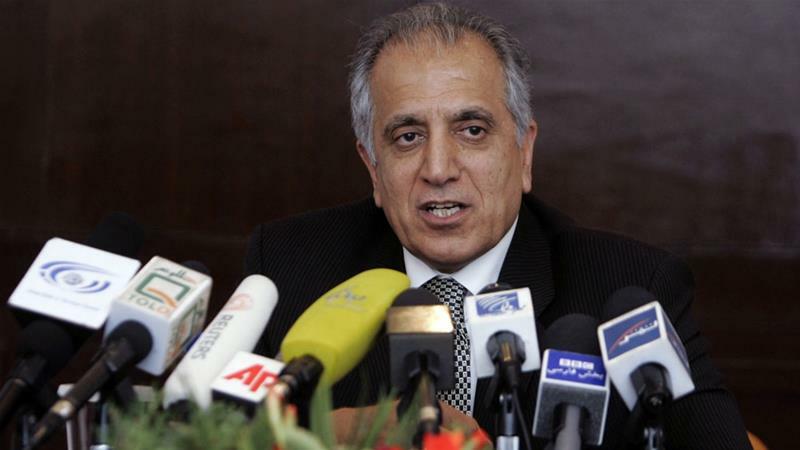 The US and the Afghan Taliban have drafted the framework of a deal which could pave the way for peace talks with Kabul, special envoy Zalmay Khalilzad was quoted as saying Monday, but major sticking points including a ceasefire and a withdrawal of foreign forces remain.